Synopsis: Marxs ideas are now subject to worldwide reappraisal, with conferences attracting the most important critical thinkers on the left. Marx and the Aesthetic (Amsterdam, 2012) reappraised Marx in the context of his own creative inspirations and contemporary art today. Max Raphaels Proudhon, Marx, Picasso (1933), published in Paris by the exiled German art historian, a contemporary of Walter Benjamin, included the first attempt at a Marxist critique of Picasso. 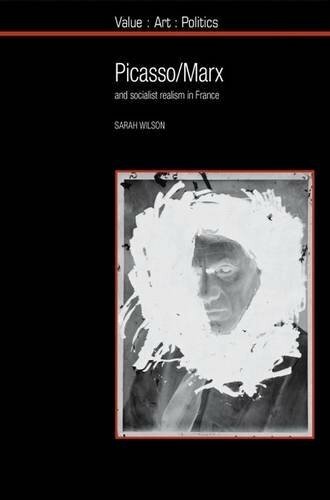 His book appeared when the global crisis of capitalism coincided with the birth of fascism.Picasso/Marx looks backwards and perhaps forwards, resituating Picasso in dialectical terms. His context as player in the little-known Communist West, centred on Paris, brings into play the Marxist theory of his times. From the 1930s to the 1970s, Marx, Lenin and Stalins own theories on art and literature were discussed together with Plekhanov, Bogdanov and Zhdanov. John Bergers Success and Failure of Picasso (1965), dedicated to Raphael, offered a critique of Picasso's art and Communist politics within the lifetime of the painter. Picasso/Marx presents a critical view of Picasso to his new audiences from Melbourne to Moscow.